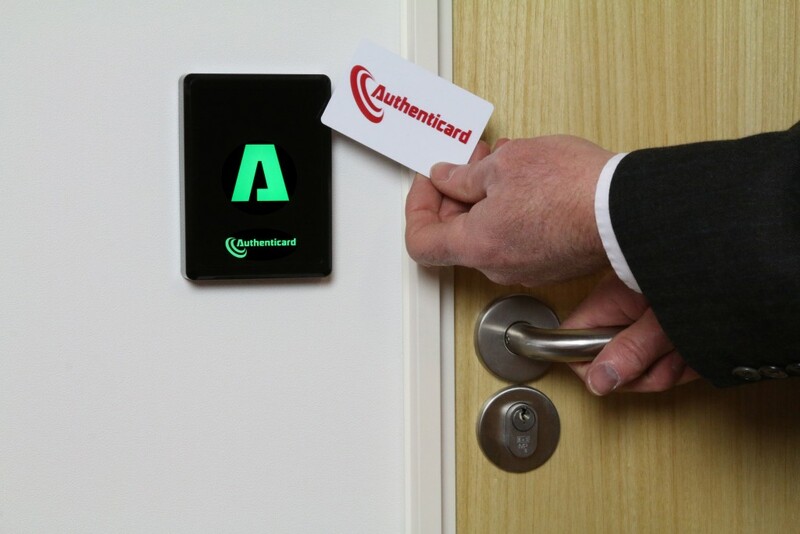 Authenticard offer a full range of aesthetically pleasing readers for physical access control, logical access control and time and attendance. 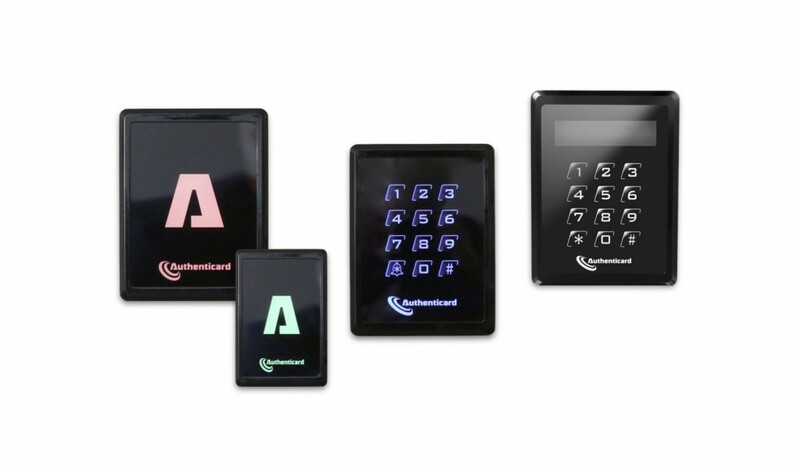 The Authenticard 125 series readers can be used to read existing EM cards, HID 125 kHz cards or Authenticard 125kHz cards to offer an economical and stylish alternative reader range. Authenticard 13.56-CSN readers can be used to read the CSN (chip serial number) from any Mifare card or if higher security or the convenience of sequentially numbered cards are required the Authenticard 13.56-HS readers can be used to read card IDs from a key protected sector of a programmed Mifare card. 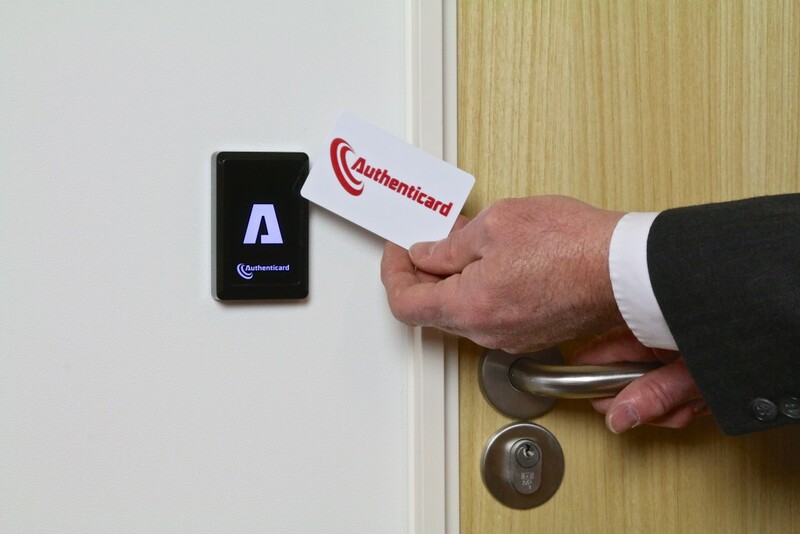 For even higher security the Authenticard 13.56-EV1 reader range uses encrypted keys to protect the encoded card ID data on a Mifare DESFire EV1 card and the Authenticard 13.56-LEGIC range offers all of the additional security provisions of LEGIC technology. The Authenticard "Designer" series of readers is designed for semi-flush flush-mounting to a UK / EU flush back box. The reader features an attractive high-gloss black finish with multi-colour LED annunciator key symbol and beeper for audible and visible user feedback. Output is industry-standard Wiegand data with the programming format passed through from a programmed card with "4-bit burst" keypad data configuration as standard for compatibility with most good access control systems. D-SWITCH-125, 125KHz Proximity Technology to read EM, Authenticard and HID proximity cards & tags. 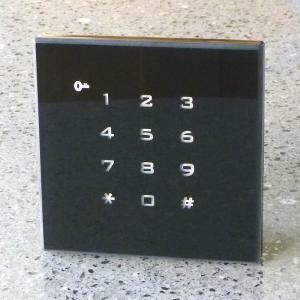 D-KEYPAD-125, 125KHz Proximity Technology to read EM, Authenticard and HID proximity cards & tags plus 4 bit burst keypad output. D-KEYPAD-CSN, 13,56MHz Contactless Smart Card Technology to read the CSN/UID of MIFARE or DESFire cards/tags plus 4 bit burst keypad output. The A-MINI range of readers is designed for mounting door or window frames (mullions) and is tuned to work well when mounted on metal. The reader has an attractive high gloss black finish with multi-colour OLED backlighting and beeper for audible and visible user feedback. As standard the reader illuminates in blue and beeps and flashes on any card read. The access control system may change the illumination to green on valid card read and red on invalid card read and may control the beeper. This feedback may be customised to suit your requirement. A-MINI-125, 125KHz Proximity Technology to read EM, Authenticard and HID proximity cards and tags. A-MINI-MHS, 13,56MHz Contactless Smart Card Technology to read encoded data stored in a high security sector of a Mifare card/tag (matching keys will be required). A-MINI-EV1, 13,56MHz Contactless Smart Card Technology to read the UID of any Mifare or DESFire card/tag and will read encoded data stored in a high security sector of a programmed DESFire card/tag (matching keys will be required). The A-SWITCH range of readers is designed for wall or post mounting and fits on a single gang US, UK EU wallswitch and is tuned to work well when mounted on metal. The reader has an attractive high gloss black finish with multi-colour OLED lighting and beeper for audible and visible user feedback. A-SWITCH-125, 125KHz Proximity Technology, reads EM, Authenticard and HID proximity cards and tags. A-SWITCH-MHS, 13.56MHz Contactless Smart Card Technology, reads encoded data stored in a high security sector of a Mifare card/tag (matching keys will be required). A-SWITCH-EV1, 13.56MHz Contactless Smart Card Technology reads the UID of any Mifare or DESFire card/tag and will read encoded data stored in a high security sector of a programmed DESFire card/tag (matching keys will be required). The A-DISPLAY range of readers is designed for wall or post mounting and is tuned to work well when mounted on metal. The reader has an attractive high gloss black finish with multi-colour OLED backlit keypad and LCD display to show a range of pre-programmed messages or information from a compatible control system in addition to changing colour of the OLED illumination and beeper for audible and visible user feedback. A-DISPLAY-125, 125KHz Proximity Technology, reads EM, Authenticard and HID proximity cards and tags. A-DISPLAY-MHS, 13.56MHz Contactless Smart Card Technology, reads encoded data stored in a high security sector of a Mifare card/tag (matching keys will be required). A-DISPLAY-EV1, 13.56MHz Contactless Smart Card Technology reads the UID of any Mifare or DESFire card/tag and will read encoded data stored in a high security sector of a programmed DESFire card/tag (matching keys will be required).